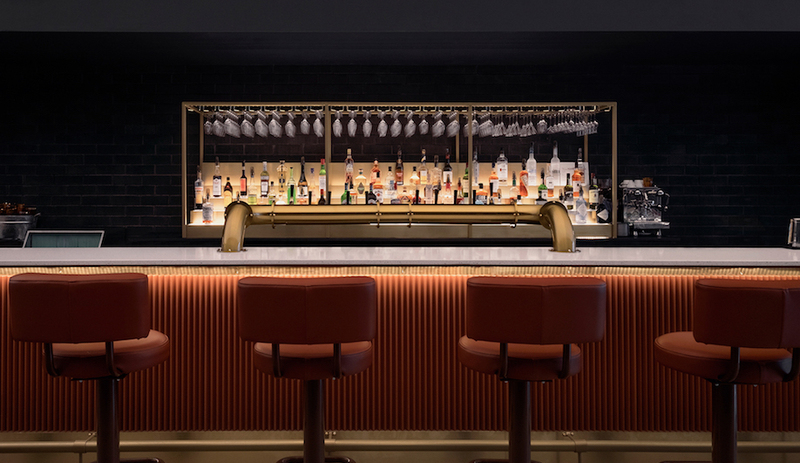 What is it about the arch and the colonnade lately? 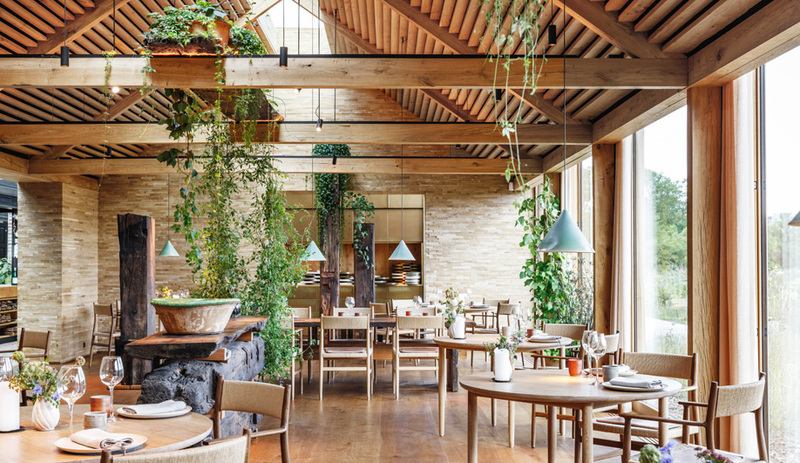 The trend of reinterpreting the classical structures seems to be everywhere, from Avenue Road‘s resplendent Vancouver showroom to London’s Aesop flagship to dim sum restaurants and furniture pieces. 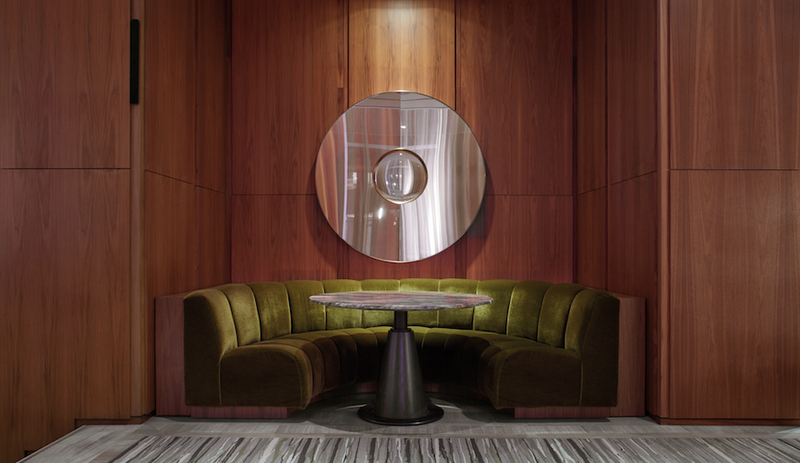 And it’s undeniable: the arch is an enduring architectural ideal for good reason. 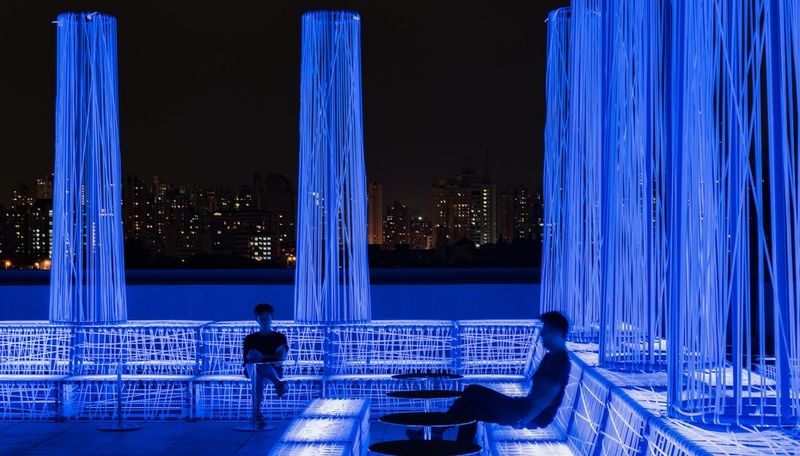 Nyx, a rooftop bar in Shanghai, takes this motif and electrifies it. 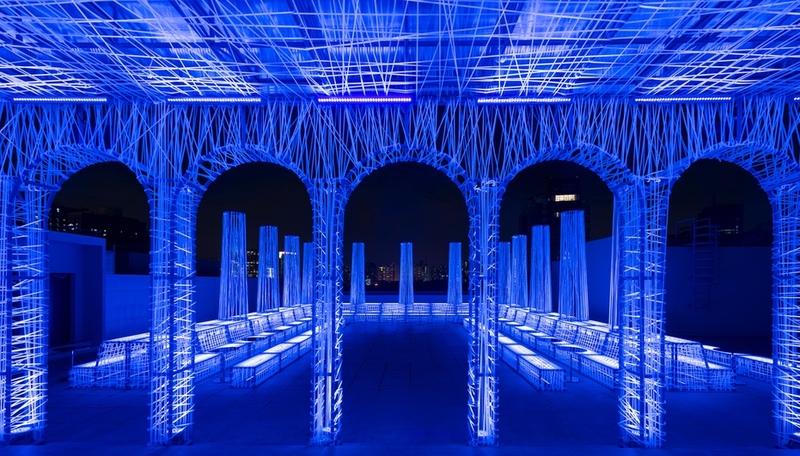 Designed by Alberto Caiola (whose small firm, founded in 2014, seems to have a thing for arches, judging by his Harbrook shop in Hangzhou), the outdoor space is pulsating with UV reactive cord – 21,000 metres of the material wrapped around frameworks shaped into seating and tall, conical lights. 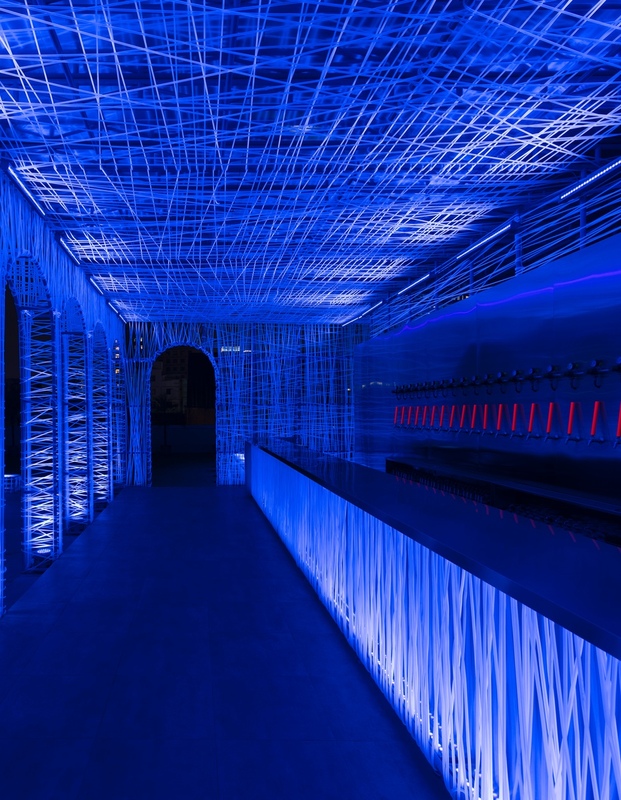 The UV reactive cord that wraps the bar’s structures are black lights that glow blue come nightfall. 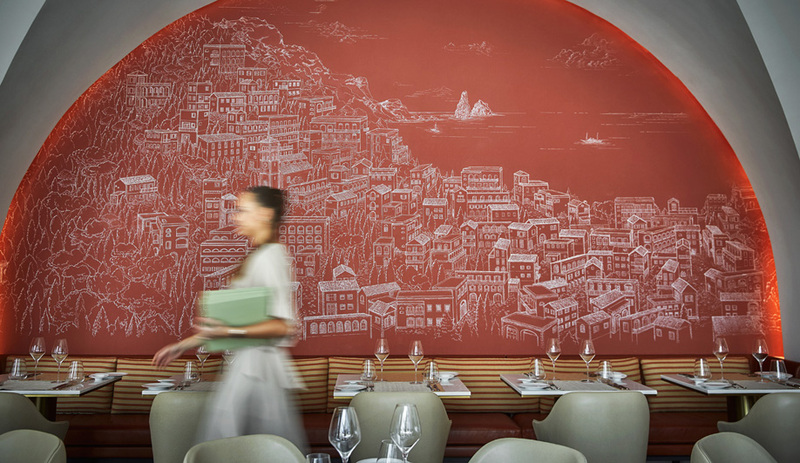 They’re punctuated by dashes of red and evoke a cross-hatched line drawing in 3-D. 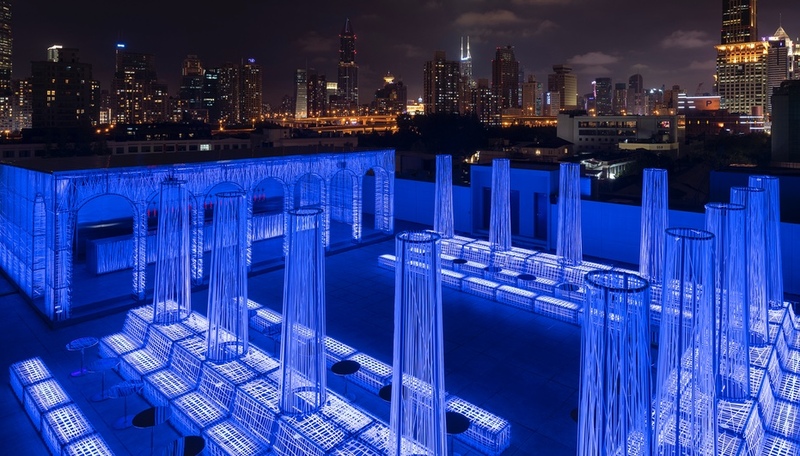 They reference the ever-evolving Shanghai skyline, and its “tangles of cable and wire,” which patrons can take in all around them from the bar’s elevated perch. 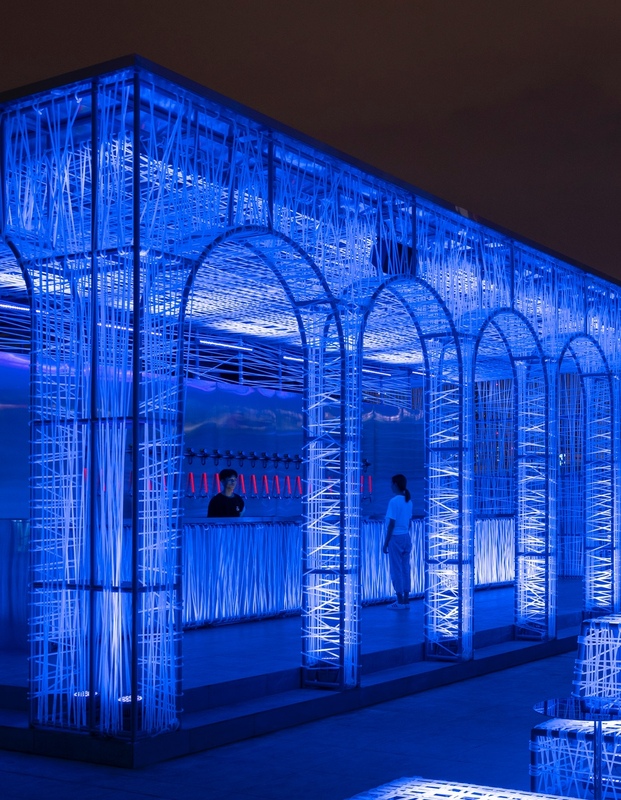 For those drawn like moths to these glowing lights, we must warn you: the destination, located at 627 Middle Huahai Road (near Sinan Road) is closed during winter.